BMW's iDrive system's getting better--but have you tried MyFord Touch? Is the V-12 worth it? We're not sure the $50,000 extra on the tab is worth the 760Li's scant increase in speed--but we'll endorse the 750Li if speed is on your mind, and the 740Li for supreme fuel economy. Call us converts: The latest BMW 7-Series turns our eyes more than ever and drives with real big-guy brio. The year 2009 brought the newest edition of the bigger Bimmer--and in this, its fifth turn around the block, the player from Munich neatly reverses the styling miscues applied under the old regime, which makes today's 7-Series one of the best-conceived big sedans Bavaria's ever brewed. 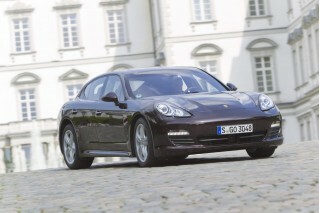 The awkward proportions and surfaces of the 2002-2008 model are gone, and performance is better than ever, too. The quintessential BMW driving feel remains intact, despite a horde of new electronic interventions and a big uptick in size. There's a version, practically, for anyone well-funded enough to lay down a minimum of $70,000 for a four-door sedan. The in-line six versions are sprightly enough; the twin-turbo V-8s are thrusty joys to drive. The V-12 may be overkill for anyone who can't afford one--and the new Hybrid, a first important step into new technology that could use some smoothing over. Cavernous interior room comes with either the short-wheelbase 7er. Long-wheelbase cars have chauffeur-style room for front and rear-seat passengers. Safety ratings are still on hold, but other features overflow the order sheet--everything from DVD changers to night vision to custom wood and leather trim. With a base price above $72,000 in the 740i, climbing to more than $135,000 for the 760Li, there's a vast gulf in the 7-Series lineup that leaves lots of wiggle room for the justifications and rationalizations you'll want to make. In that range, the 7-Series' competition includes the Mercedes-Benz S-Class, Audi A8, Jaguar XJ, Lexus LS; Porsche Panamera; possibly even the Aston Martin Rapide, if you're willing to sacrifice a lot for beauty. With slimmer and more exciting proportions--and a much more streamlined cockpit--today's BMW 7-Series makes the prior version look like an ungainly rough draft. In 2009, the BMW 7-Series went from being one of our least-favorite luxury sedans to one of our most coveted. It came in from the cold of the previous generation, when BMW gave itself the misguided mission of making the 7-Series a more abstract expression, instead of an extension of its "ultimate driving machine" tagline. The 2002-2008 7-Series went extreme with flame surfacing, awkwardly tall glass areas, drooping fenders, and a tiered decklid that foudn copycats across the globe, even though it gave the 7er a wide, ungainly, tall rear end. Today, the 7-Series is almost a knockout, with a much more relaxed silhouette and more exciting proportions of metal to glass. The shoulders fit just right; the trunk has been smoothed over, its taillights more tightly integrated. In the front, the twin-kidney grille even looks pleased, split into a wider grin atop a deeper, dipped air dam. The "Hofmeister" kink at the D-pillar and doors gives the 7er its signature sublime touch of sport. The long-wheelbase versions don't tip the shape out of balance at all, with a small stretch in glass areas in the rear doors. The cockpit is a win, too, with the chaotic mix of buttons, screens, and knobs reduced where possible, and regrouped into a more logical mien. The clutter has a more organized feel, at least, and the dash shapes have been streamlined so that the 7-Series' cabin "reads" more easily and more cleanly. The instruments can be completely blacked out when needed; otherwise they glimmer softly amid densely grained wood trim, ceramic-finished knobs, and the futuristic controllers that direct the transmission and driving dynamics, as well as the iDrive system. The 2011 BMW 7-Series delivers ultimate-driving-machine performance, despite its size and heft. In any version of the current BMW 7-Series, you'll have swifter acceleration and more ultimate grip than in some of the automaker's M cars from the past. The entry-level cars, the 740i and 740Li, bring back the six-cylinder engine to the 7-Series for the first time in nearly two decades. This time around, the twin-turbo in-line six makes considerably more horsepower: it's rated at 315 horsepower and 330 pound-feet of torque, and BMW promises a 0-60 mph time of less than 6.0 seconds for either version. We haven't had the chance to test the six-cylinders, but other publications have noted the six-cylinder's smooth, linear acceleration and the fact that it's more than 200 pounds lighter than the V-8 versions. The engine's teamed with a six-speed automatic transmission. We've had extensive experience driving the 750i and 750Li, the sedans outfitted with BMW's big twin-turbo V-8. The 400-horsepower, 4.4-liter twin-turbo powerplant provides a rush of torque as low as 1750 rpm, with just a faint whistle from the turbochargers. Tag-teaming the tires via a six-speed automatic transmission with a sport-shift program, the 750Li has a company-pegged 0-60 mph time of about 5.0 seconds, and a top speed of 155 mph. Fuel economy checks in at a middling 15/22 mpg for the 750i, 14/21 mpg for the 750Li. All-wheel drive is now an option on these sedans, and it's a sophisticated setup that can split up to 20 percent of the torque to the car's front wheels for better traction. These V-8 cars--at least the rear-drive ones--also can be fitted with a new M Sport package that brings with it a body kit; 19- or 20-inch wheels; and Active Roll Stabilization, as well as its own sport steering wheel. At the top of the prestige scale is the twelve-cylinder 760Li, a long-wheelbase-only edition fitted with a 537-hp twin-turbo V-12. It's a rear-driver only, and it gets a new eight-speed automatic. Even though it checks in at 4,800 pounds, it zaps drivers from 0 to 60 mph in 4.6 seconds, while it slurps premium fuel to the tune of 13/19 mpg. The V-12 is an uncommon test car; we haven't driven it, but will update this review when it's available. Next to last on the nine-member 7-Series family roster is the most technically complex version, the ActiveHybrid 7. By teaming the V-8 engine with lithium-ion batteries and electric motors, BMW promises fuel economy of 17/24 mpg and a 0-60 mph time of about 4.6 seconds--what it says is the fastest hybrid in the world. However, it's one of BMW's first hybrids, and it shows. There's a bit too much regenerative force when the driver lifts off its throttle below 25 mph, and the car can shudder when the engine is restarted in the course of its stop-start fuel-saving cycle. Finally, there's the Alpina B7, a specially tuned version of the 7-Series. The direct-injection V-8's power soars through the miracle of tuning, from 400 hp to 500 hp; the transmission and adjustable steering and shocks are tightened up. The net is an acceleration figure that falls to 4.4 seconds to 60 mph, and considerably tauter handling than even the standard cars can manage in Sport mode. Ah, for the electronics. Without them, the big 7-Series could feel like a real land yacht--but with them, even in their less refined-feeling modes, the electronic gadgets and assistants dramatically broaden the 7-Series' driving feel. In even Normal mode, across the lineup, the 7er is unbelievably nimble for a car so lengthy and heavy. From our first tests of the V-8 to our most recent drives in the Hybrid, the 7-Series has always felt planted and stable at low speeds and at Autobahn-style limits. While it weighs plenty, the 7-Series' lightweight control-arm independent suspension front and rear gives its responses an airier touch. The electronics take charge for a sometimes maddening feel. Active Roll Stabilization engages anti-roll bars to limit excessive body motion; there's an air suspension on the 750Li and 760Li. All versions get Driving Dynamics Control, a system that governs shock firmness, transmission shifts, steering heft, and throttle response--but allows drivers to twiddle with the settings to fit their habits. In our experience with the 750Li, it's best to leave the 7-Series in automatic modes and to trust the transitions to its transistors. BMW also offers optional active rear steering, which turns the rear wheels opposite the fronts in some situations to enhance turn-in, which does noticeably speed up the steering response. If only the actual steering feel weren't quite so artificial, the 7-Series would comport itself better than any of the large German luxury liners. Braking is exceptionally strong, as we've come to expect, with many electronic controls to prepare, dry, control, and unlock brakes in extreme circumstances. 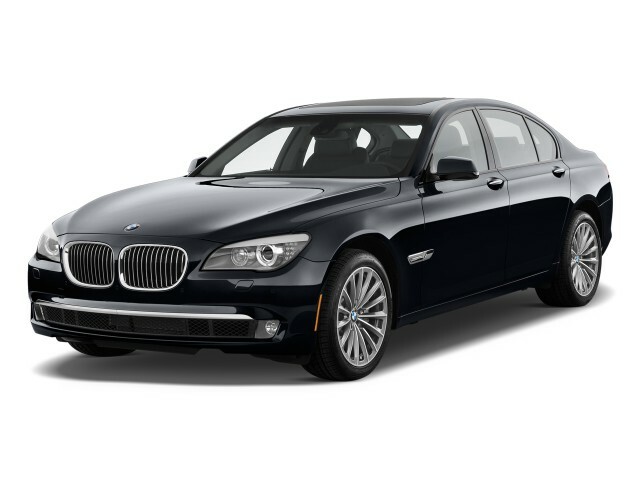 Firm and cozy seats, vast rear-seat room, and exquisite fit and finish mark every version of the 2011 BMW 7-Series. Especially in long-wheelbase versions, the 2011 BMW 7-Series has an astounding amount of space, only rivaled by the luxurious fittings and finishes applied to it. The cabin has far more room than you might expect, based on the overall sizes of previous 7-Series cars. This one's so vast, it's closer in size to the Mercedes-Benz S-Class in interior room--and the S-Class only comes to the States in its long-wheelbase form. With all that space, only a badly scuplted set of seats would make the 7er uncomfortable. They're not. We've sat in the 7er's multi-adjustable front seats for hours, on long stretches of smooth and rough roads. Every time, with just a few clicks and nudges of the seat controls, we've always found a soothing seating position with plenty of headroom, shoulder room, and legroom. That stands true for most of our editors, all of whom are more than six feet tall. In the long-wheelbase 7-Series, there's even more room in the back seat, though the standard car is no slouch. Whether you're riding in back in the "base" car or in the version that adds 5.5 inches of rear-seat legroom, you'll be able to ride behind a tall passenger sitting in front--and still cross your legs at the knee in back. Depending on the model and the options packages, the rear seats can be a bench or a pair of buckets, and they can be fitted with ventilation, heating, a massaging function, or bathed in warm or cool air via a four-zone climate control system. The 7-Series' fit and finish is easily the equal of a Rolls-Royce, with high-quality materials--beautiful leathers and woods--melded for a low-gloss, high-content sheen. We do think the techno-driven styling of some controls draws down the cabin's serene statement, but wind and engine noise are extremely low, and all cars we've examined up close had faultless build quality. The big safety agencies haven't scored the 2011 BMW 7-Series, but it gets our highest score from a wealth of standard safety gear, and a good track record for crash protection. The safety ratings for the 2011 BMW 7-Series we're awarding are fairly generous, considering the fact that neither the National Highway Traffic Safety Administration (NHTSA) nor the Insurance Institute for Highway Safety (IIHS) has reported crash-test scores for the big sedan. The reason? It wasn't tested in 2009 when it was brand-new either--but the mechanically related 2011 BMW 5-Series has been, and it's won top scores from the agencies. The 7-Series' extreme helping of safety gear also earns our respect, along with the big score. Every 7-Series gets standard front, side, and side-curtain airbags; rear-seat side airbags; front-seat active head restraints; and knee airbags. Each copy also has standard anti-lock brakes, traction and stability control. And BMW also fits a rearview camera, a front-view 180-degree camera, and parking sensors to assist drivers in keeping the 7-Series clear of parking-lot trouble. The options offered on the luxury sedan will appeal to technophiles and safetyphobes, too. A Driver Assistance Package bundles together blind-spot detection, a lane-departure warning system (which vibrates the steering wheel when the car drifts from its lane) and automatic high-beam headlights. Something we'd opt out of is the available head-up display. It's a nifty tech piece that projects navigation instructions, vehicle speeds and other functions into the driver's view, but it clutters up our view of the road ahead. The same goes for night vision, a principle we think is better left to the military from whence it came. All-wheel-drive 7-Series sedans have standard hill descent control--in this case, not for amazing off-road traction, but for controlling the car on icy, messy roads. A simplified iDrive controller and some of the finest high-tech features available fill the 2011 BMW 7-Series with swagger. You might almost be overwhelmed by the heady dose of electronics in every 2011 BMW 7-Series, but you'll also be coddled to the nth degree with appropriate and over-the-top luxury features in all versions, not just in the almost $150,000 760Li. The feature that does the most, and takes the most heat, is iDrive. The wheel-driven infotainment controller has been massaged, reprogrammed and flanked by reinstated buttons over the years, and finally it seems to wade into the car's climate, audio, phone and telematics services with something approaching ease of use. We're still sold far more easily on the admittedly complex voice functions of something like Ford's MyTouch system, but iDrive's roller controller is no longer the sign of imminent doom it was in its first iteration, back in the early 2000s. You now can change AM radio stations hertz by hertz, for example. As it's improved, iDrive's also been augmented with new bookmark buttons and direct-function buttons that let you drill more rapidly in through its deep database. In the process, it's dialed back more physical controls into the cabin--while the original goal was to replace all of them with a single wheel. Other features are more intuitive, and downright lush. Chief among them is BMW's voice-activated navigation system, which outputs its data on a wide, gorgeous 10.2-inch high-resolution display, and stores its maps on an 80GB hard drive. If you're tired of wading through iDrive, you can always Google a destination and send it to your car's GPS live from the Web. We're always happy to listen to BMW's audio systems, which now have the firepower to match the best luxury vehicles on the planet. The head unit in the 7-Series will play DVD-etched music files, and also has built-in HD and satellite radio hardware. An iPod/iPhone media kit allows the car's controls to take over the functions of the Apple device. A rear-seat entertainment system is optional on V-8 cars, and standard on the most expensive 7ers. The uppermost model, the 760Li, makes almost all of these features standard. Options remain, including night vision, massaging rear seats, adaptive cruise control, and a choice of wood trim. The 2011 BMW 7-Series cuts a wide swath across the EPA's fuel-economy chart; the six-cylinder models fare better than the hybrid. With such a tremendous variety in its powertrain lineup, the 2011 BMW 7-Series actually has a fairly narrow range of fuel economy figures, as rated by the EPA. The best numbers are generated by the six-cylinder Bimmers. The 740i and the 740Li both sport an eight-speed automatic, which helps them achieve gas-mileage numbers of 17/25 mpg, tops in the 7er fleet. Right behind them is one of the most expensive and complex 7-Series sedans, the ActiveHybrid 7. Like the six-cylinder cars, it comes in a choice of short- and long-wheelbase editions, and both are rated at 17/24 mpg. Since it already offers the gas-electric ActiveHybrid 7, it stands to reason that BMW may be investigating a diesel option for the 7-Series for the U.S. As of yet, no version has been confirmed. Very high performance luxury car whose reliability is suspect. Thrilled with the performance fit and finish. Unexpected bonus was the fuel economy. Disappointed in the reliability of some components, which seemed to fail really prematurely.